Opera in Concert, Dallas’ newest professional opera organization, opens its second season December 5, 2015 with “The Wonderful World of Operetta” at 8:00 pm in Kurth Hall at the Sammons Center for the Arts. 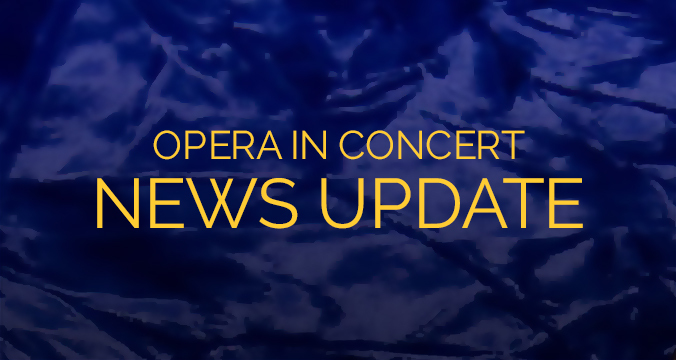 General Director Heather Ross reported, “We are delighted with the response we have had from the Dallas opera audience in our first season, and enthusiasm is running high for our next concert of operetta favorites from around the world. Somehow we don’t hear enough of this infectious music here in Dallas, so we have tried to gather the best of English, French, Spanish, Viennese and American operetta into one musical travelogue!” Music director and pianist Stephen Dubberly will preside over the performance, joined by former Metropolitan and Dallas Opera baritone Edward Crafts, mezzos Legera Danielides and Charis Peden, soprano Julie Gilbreath, popular guest tenor Johnathan Riesen and zarzuela specialist, soprano Judith Rodriguez. Opera in Concert also raises money to support Texas singers studying in Italy; in the summer of 2015 year we sent three singers from UNT and SMU to Urbino, Italy for a program focusing on intensive Italian language classes and operatic coaching. The singers selected performed in historic Italian theaters, castles and churches. Auditions for 2016 summer scholarships will be held this fall at local universities. Tickets for the December 5th concert are $15 general admission and $10 for students, available in advance from www.operainconcert.org.